COELHO, Maria Natalia (Correia), 89, of West Warwick passed away peacefully Saturday, August 18, 2018, surrounded by her loving family at home. She was the beloved wife of the late Antonio P. Coelho. Born in Vila Franca, Sao Miguel, Azores, she was a daughter of the late Jose F. and Maria Florescinda (Casimiro) Correia. 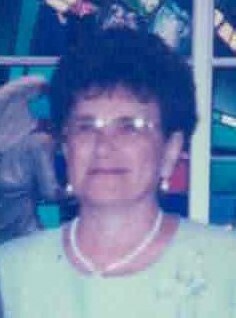 Mrs. Coelho was a communicant of St. Anthony Church and a member of its Holy Rosary Sodality. She was the loving mother of Cristina Castaldi and her husband Domenico, Natalia Lima and her husband Antonio and Antonio Coelho, all of West Warwick and Cidalia Bettez of Warwick. Cherished grandmother of Joseph Castaldi, Kenneth Bettez, Jr., Tiffany Bettez, Lisa Lima and Eric Lima and great-grandmother of Joseph and Vincent Castaldi, Logan Barber, Lydia and Drew Bettez. Caring sister of Cecelia Furtado of Cranston and Laura Monteiro of West Warwick. She is also survived by several nieces and nephews. She was the sister of the late Maria da Pedra Correia, Rosa Correia, Jose Correia, Tiago Correia and Joao Brito Correia.